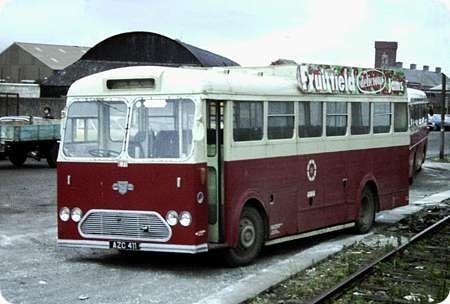 EZH 234 is a Leyland Leopard PSU3 4R coach with METSEC body. 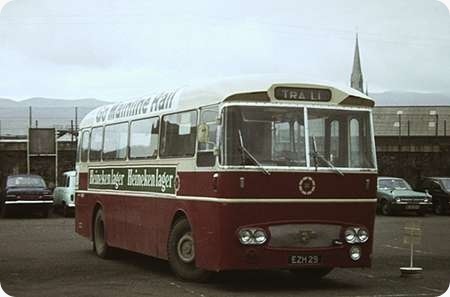 It operated for CIE [Córas Iompair Éireann] and is preserved in their brown and cream livery. It was new in 1966 as B53F [fleet number C234] and reseated to C45F in 1968. In 1986 it was reseated to B55F and transferred to Bus Eireann as their CS234 in 1987. 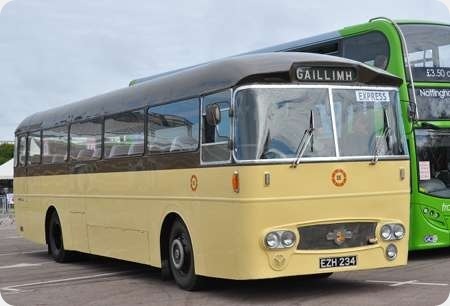 Withdrawn in 1995 it has been restored to its C45F layout. Looks like an excellent restoration. The colour scheme complements the METSEC body which is an interesting and very creditable blend of BET and CIE designs. Having sampled CIE’s previous Leopards on express services in the earlier part of the decade, I wonder how the ride was on Irish roads, especially as it aged. Having sampled two ten year old examples of the Bus Eireann Scania/Irizar Century a couple of days ago, between Tralee and Limerick and back, I would think the vehicle would have been allowed to deteriorate fairly rapidly as CIE and Bus Eireann work their charges very hard on roads that, away from the major cities, are not the best. This is certainly one handsome beast and a beautiful restoration.